Danielle. 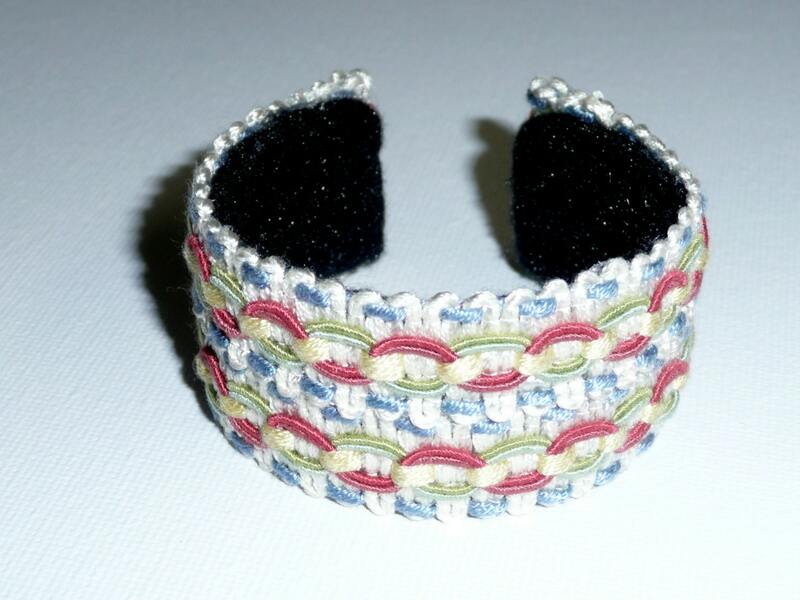 Cuff bracelet made out of recycled upholstery trim in blue, coral, green and white. Danielle. 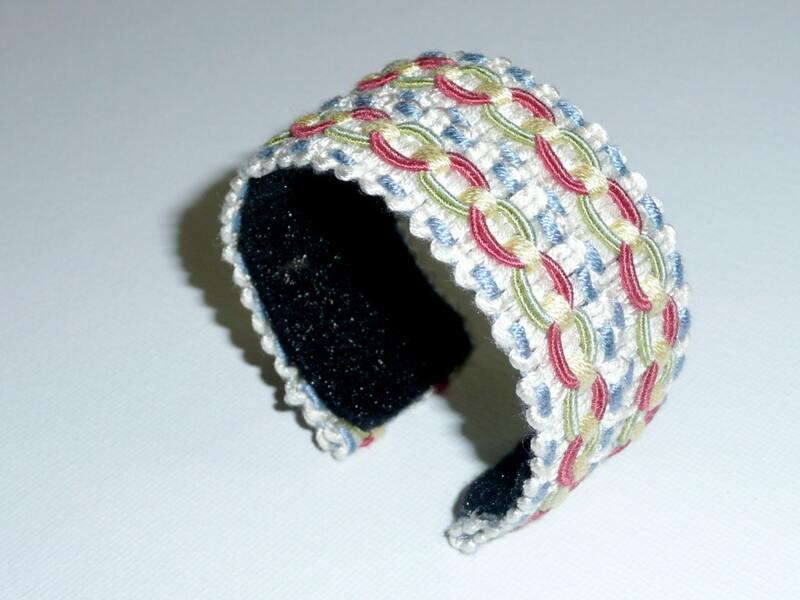 Cuff bracelet made out of recycled upholstery trim in a delicate design combining blue, coral, green and white. 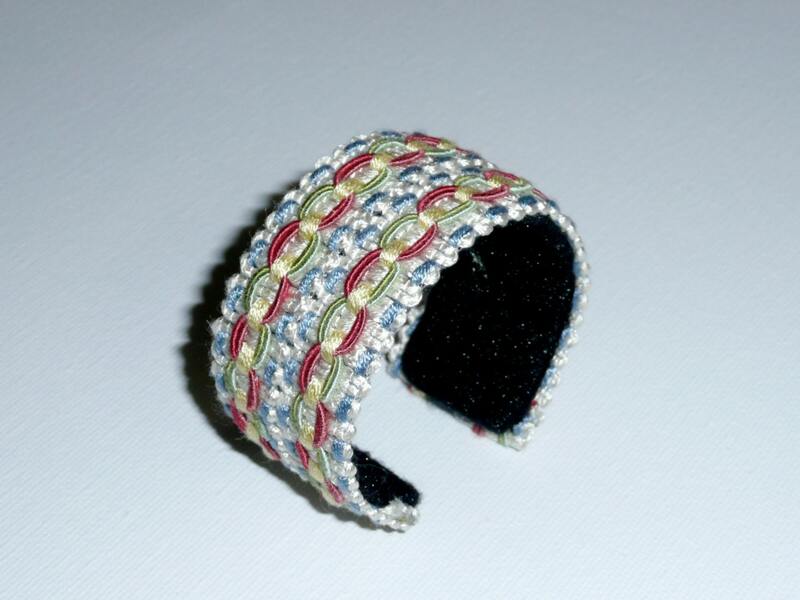 It can be a chic complement to an everyday outfit or the perfect accessory for an evening out.